People don’t think of Idaho as much of a sports haven. There’s not a noteworthy professional team in the state, and indeed this entire region of the country is fairly light on professional sports. But in a way, that makes the sports that are popular even more exciting. After all, Nebraska – another state that’s not generally associated with major sports – is thought to have a fan base that makes up one of the loudest groups in the nation. Boise State can’t quite make that kind of claim – but it does have a very strong football tradition that’s worth getting into if you’re in town. That football tradition may actually be harder to notice in the greater United States than it was just a few years ago. That’s because of the College Football Playoff, which has taken focus away from traditional bowl games and put the spotlight on the top four teams in the country in any given year. For instance, last year we saw a national championship match-up pitting Alabama against Clemson – the team they beat to claim the 2015 title. That’s the kind of repetition people are used to at the very top of the game, and it means schools like those two, Ohio State, Oklahoma, and a small handful of others are traditionally going to be viewed as the best of the best. Just a few years ago, however, Boise State was known as a perennial presence in national debate over premiere bowl games. From 2006-2012 the team amassed a cumulative record of 84-8, going undefeated twice and finishing with just one loss on three separate occasions. Those were the kinds of seasons that earned consideration for top bowl games, and still do – just not necessarily in the College Football Playoff. All that is to say that this is a truly top-notch football program, despite belonging to a town not known for spectator sports. That alone is a good reason to check out a game if you get the chance, because the best college football experiences are always those that involve proud fans and program traditions. But the stadium itself also factors in. Located right on Boise River and essentially across from the zoo, Albertsons Stadium is in a great spot, and a fairly easy one to find and navigate. It’s a modern stadium with great seating, satisfying food and beverage options, and droves of enthusiastic fans that provide a strong sense of atmosphere. Most famously, it’s also home to “The Blue,” the world’s first blue Astro Turf field and arguably the key identifying feature of the program. It’s a little bit difficult to explain how, but The Blue seems to foster a greater sense of unity among fans, and even between those fans and the team itself. It also make the stadium feel that much more unique at all times, and particularly during an evening game when the lights are shining down upon it. All in all it’s a great thing to do in town, and something visitors and locals alike should consider! Remember Glenn for my last Dating in the BOI post? He had that whole awkward date with Ms. Negative. He’s back and he sure has a dating experience worth sharing. Here is his dating experience with Ms. Scary. It all started when a friend thought she would hook me up with one of her friends. It seemed like a great idea and I felt like I could use a break from Tinder. We’ll also refer to this one as Ms. Scary. Ms. Scary is a beautiful tall blonde who is my age (26) and she seemed like she liked to have a lot of fun. I got her number from my friend and we began to chat. I decided to get real dressed up (running shorts, a Northface fleece and flip flops) and head to her house. I guess she was trying to live out some sort of fantasy where she’s like Fonzi [from the TV show Happy Days] because she lived above a garage in the Meridian end. So I walked up the stairs, opened the doggy door at the top, and she met me at the door. I walked into her place, and Ms. Scary gave me a tour of her apartment. The tour ended with her measuring me against a wall and marking down my height. it’s February and I was wearing shorts and I was kind of cold. So I awkwardly uncrossed my legs and started realizing I may need to get out. Right before I could get up to see her little chihuahua– Sasha — jumped on my lap. Obviously everyone knows how cute chihuahuas are, so I gave her a belly rub. As soon as her chihuahua was wiggling around on my lap, Ms. Scary told me I needed to stop and not to spoil her dog. Extremely confused I again decided I needed to leave, but she said enough of The Office and said we should listen to some music. I stood up and tried to make my way to the door as she put on the music. Now I was expecting maybe some Michael Buble, Drake or John Mayer (anything white girls listen to). I was so weirded out as she was head banging and I was just awkwardly standing by the door. It was like a car crash I couldn’t look away from. I decided this may be my cue to bail. As I was about to open the door, she asked me where I was going and that I needed to sit down. Okay now I was scared. I started realizing no one would hear my screams over the death metal. She then got in my face and told me I wasn’t her type and that she didn’t understand why I even came over (neither did I). I tried to thank her (I’m not really sure why) and ran for my car. In my escape, I began to run out of the apartment and down the hall, but classic me I fell over the doggy door at the top of the stairs and I proceeded to fall down the stairs. Why did I even come here? Why is she so mean to Sasha the Chihuahua? Is she coming down to kill me? Oh so she’s still crazy. I may just have to take a break from dating, but then there wouldn’t be these fun stories. I guess its back to Tinder — ladies if you see a Glenn swipe right. Do you have fun dating stories you’d like to share? Submit your stories anonymously here: https://goo.gl/forms/gob93ljvt1tzEuK52. Trust me – you’ll enjoy it. As many of you may know, being from South Florida entails experiencing my own share of hurricanes. Now that I’ve lived through snow storms, tornados, ice storms – I can truly compare these natural disasters living through a hurricane. With any natural disaster, you can do as much pre-planning as possible, but you can never anticipate the destruction until the hurricane is over. I remember my family losing power for 8 long days. Another hurricane came later that year, resulting in 5 days without power. Roaring Springs Water Park in Meridian is hosting a benefit concert in partnership with Project 88.7. From 6:30pm – 9:30pm Thursday August 31st, enjoy full access to roaring springs, have fun listening to music all while raising funds for Hurricane Harvey relief. ALL PROCEEDS from the show will go to the relief efforts for those impacted by Hurricane Harvey. Tickets are $20+tax per person online in advance. if you have a group of 15 or more, call 208-884-8842 ext. 3031 to make advance reservations at $15+ tax per person. For more information, please visit Roaring Springs Instagram page at @roaringspringswaterparkidaho. Brad Taylor – the owner – also started a GoFundMe account to help pay for travel costs. Please donate here: https://www.gofundme.com/fuel-for-trip-to-houston. If you have any word on additional efforts, please email me at theboisebucketlist@gmail.com. I will repost on my page and add to this blog post. I’m thankful I never was a victim of total destruction from a hurricane. I just know that when the community comes together (near and far), it helps offset the pain and sorrow you feel when things are beyond your control and you are left with nothing. Your help and donations will help those in need see light during this time of darkness. Let’s Tango.Better yet — let’s tango in Argentina. Not literally, but it’s on my life bucket list. By chance, I ended up seeing Tango’s Empanadas, a locally own restaurant which serves over 45 different empanadas. Yes, I say over 45! What are empanadas? Funny you ask. An empanada is stuffed bread or dough filled common in Latin and Spanish-influenced countries. How empanadas are made, including whether stuffed with meat, cheese, or dessert filling, vary by country. 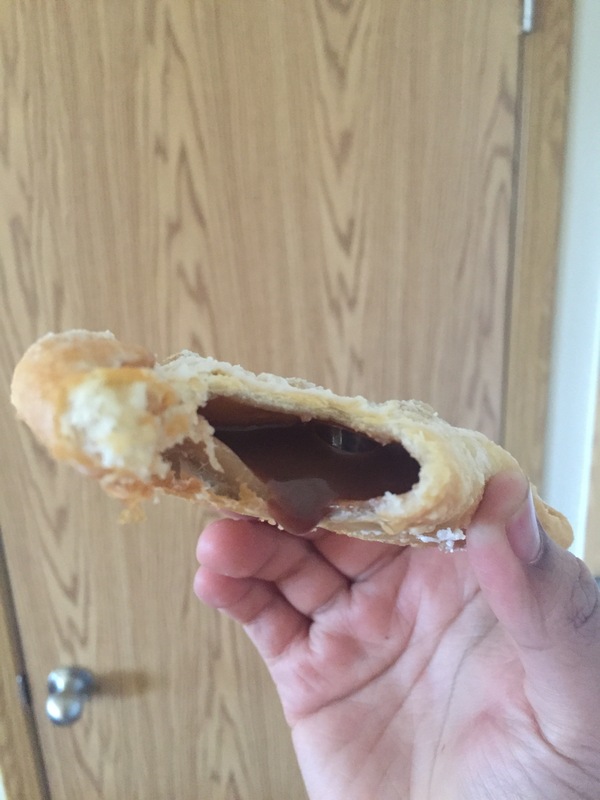 Today I tried empanadas made with Aregentina touch. Tango’s Empanadas is located in Boise and in Nampa. I went to the Nampa one. I was greeted by a short, bubbly woman with a warm smile. She welcomed us (me and my company), asked if we’ve been to Tango’s before. We both answered with no, but made sure we expressed our familiarity with empanadas. With over 45 choices, I felt like I was in empanada heaven! From the Gaucho (stuffed with ground beef, eggs, olives, onions, bell peppers, and flavorful spices) to the Jugosa (stuffed with ground beef, bacon and beans), to vegetarian options including Cuzco and Chinese — you have your options to choose from. Let’s just say the Gaucho tangoed on my taste buds! For only $2.50 each (yes, I said only. Some places in the south where I ordered empanadas charged over $3 for something half that size!) 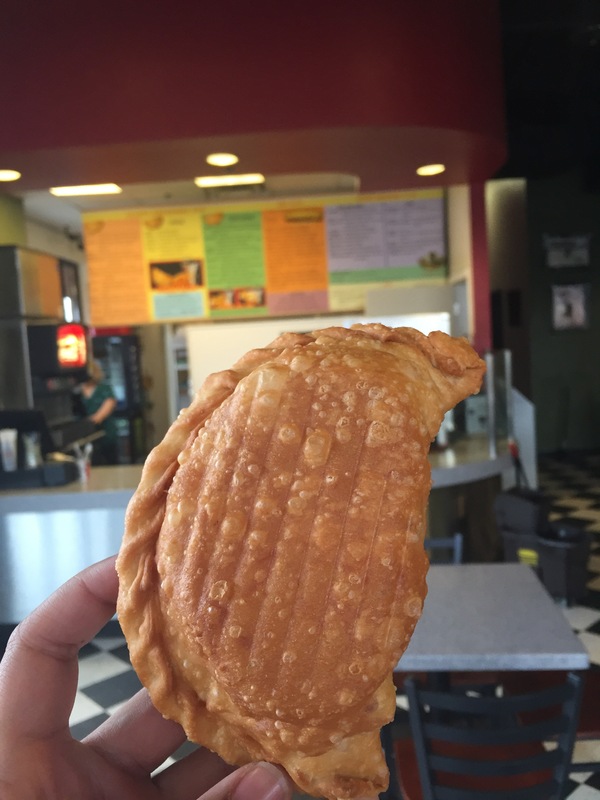 you get a LARGE, freshly made empanada made from soft crust, warm, and filled to capacity. If you order more than one, all are placed into a box and labeled with a black magic marker. That way, you won’t forget what was ordered since they all look alike. Whether you’re in Nampa or in Boise, I strongly suggest you get your tango on. You have a vast selection, you’ll never get bored, and you’re supporting a local business (#shopsmall). What’s one of your favorite cultural restaurants in the Treasure Valley? Send suggestions to theboisebuckelist@gmail.com!